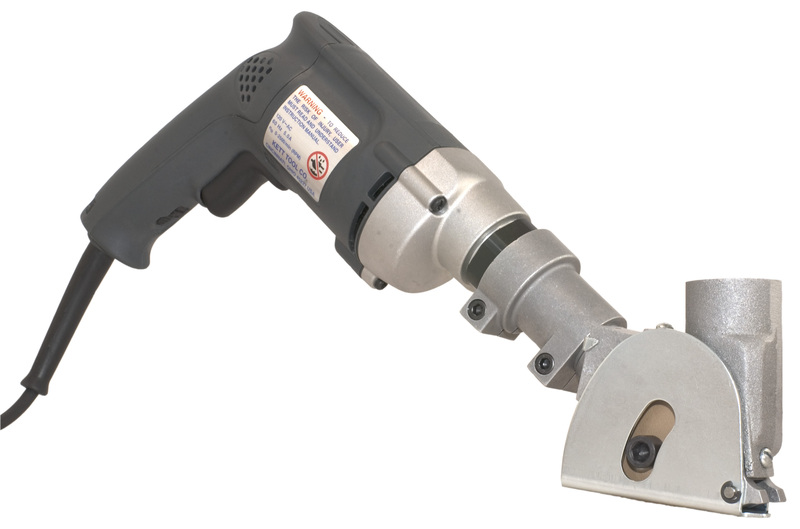 The KSV-432 has a 2-1/2" carbide abrasive blade for fast cutting of drywall, fiberglass and plaster products with dust control. 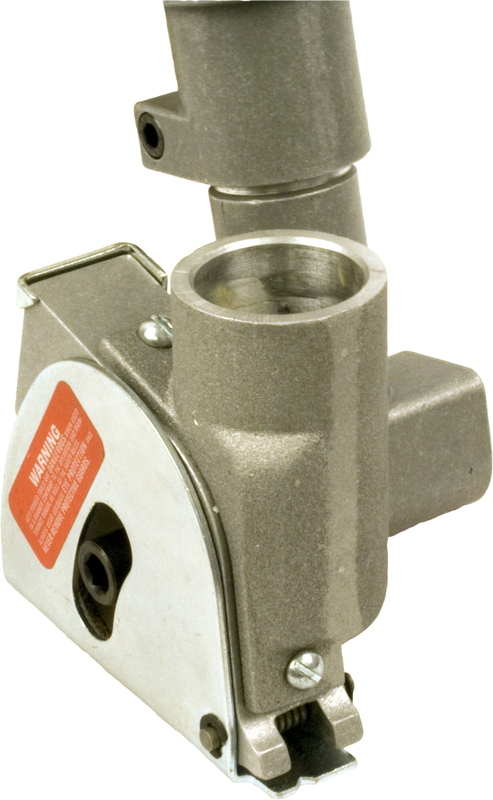 The cast aluminum saw head accepts the nose from your shop vacuum to collect debris as you cut. Great for close quarters where plunge or straight cut-outs are needed. 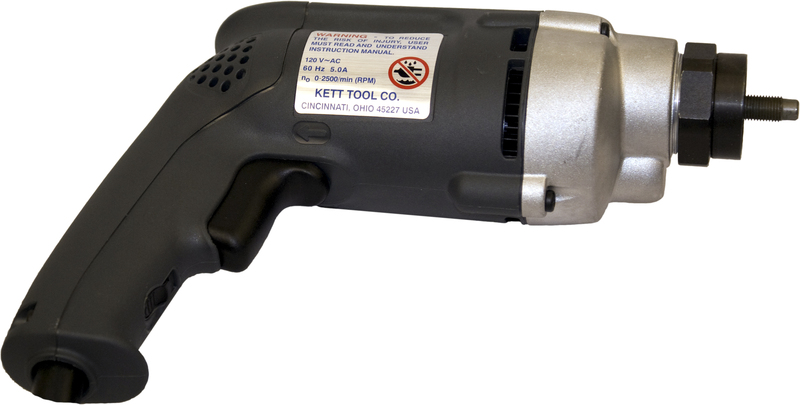 Also accepts 2" and 2-1/2" high-speed steel blades for cutting C.R. mild steel up to 16 gauge or laminate panel cutting with a maximum 5/8" depth of cut.